There is a Google AdSense engineer who is very forthcoming in the Google forums on how the Google AdSense algorithms work. In a recent Google AdSense Help thread Guillaume, the AdSense engineer, explained three key points on how Google prices ads. (1) Google gives you the maximum RPM per ad, so just looking at CTR or CPC doesn't always make sense. (2) Targeted is done on the per-individual ad impression. (3) Using the disable ad category will result in lower earnings. 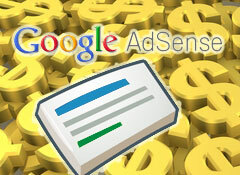 1) AdSense algorithms are optimized to get you the highest earnings. Specifically, they aim at maximizing RPM, so considerations about CTR or CPC are somewhat irrelevant. Also, there is no infinite supply of high-RPM ads: if a category of ad requests has a lower RPM, it's because AdSense didn't find anything better. 2) Targeting type is a per-individual ad impression criteria, not per-ad request. When a single ad unit shows several ads at once, the corresponding ad request is attributed to the targeting type of the first ad to show. The targeting types of the other ads are ignored. This may have an effect on the statistics. In your case, switching to the "Individual ad impressions" metric family completely changes the numbers; in particular, interest based ads have an Ad RPM much higher than contextual ads. 3) Due to how the auction works, disabling a category of ads can only but reduce your earnings. I would suggest not blocking anything unless you don't like a category of ads and are ready to suffer a decrease of earnings. Even in the situation where interest based ads have a lower RPM than contextual ads, disabling the former will reduce the number of ads competing for your inventory, therefore decrease your earnings. Indeed, ads even cheaper than the interest based ads would be served instead of them. See  for details (the article is about ad networks, but the principle is the same for targeting type).